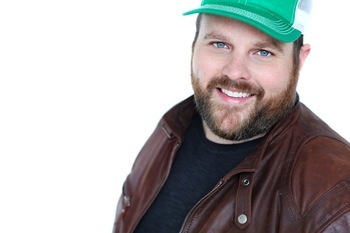 Adam Bartley, a proud Minnesota Native, received his acting training from the prestigious Southern Methodist University acting program in Dallas and spent the next decade working on stages in New York, Chicago, Dallas, Colorado, and Alaska. Adam spent 4 years teaching acting to students and directing over 15 productions in the Aspen, CO area with a company he co-owned. He made the move to Los Angeles in 2010, and within a year he landed the iconic role of Deputy Ferguson (The Ferg) on Netflix's hit show Longmire. Adam also recurred as Duke on the hit NBC show This Is Us, and as Carl Brown (the Mole) on CBS's Ncis La. Adam has starred in several movies including Under The Silver Lake, Annabelle 2, and Armed Response as well as TV shows: Justified, Criminal Minds, Bones, Doubt, and many more. Adam is also a professional singer (Jazz, Broadway), a successful acting coach / teacher in Los Angeles, a die hard Minnesota Vikings Fan, a Dad to 2 incredible dogs, and a self proclaimed "ping pong master."